We define ourselves by producing wines of the highest quality through years of care and discipline. Our “garden-vineyard” philosophy and our dedication to quality has given us high accolades. Creating unique wines which symbolise the earth from which they come has meant an unrelenting commitment to “hand sorting” or “culling” the grapes so that only the best make it to Vat and Barrel. Vintages from this heavenly place are held back an extra year or two in bottle resulting in extraordinary wines when they are released for the open market. Monteregio di Massa Marittima DOC. 85% Sangiovese, 10% Syrah and 5% Cabernet Franc. This superb example of the native grape of Tuscany is a favourite of the Contessa Sarah. Sangiovese can be a very challenging wine to harness but here at Conti di San Bonifacio, the terroir and the careful discipline applied in the Cantina has paid off. A wine the colour of ruby garnet just like those Brunellos! It is no myth that when Montalcino bought grapes from other parts of Tuscany they cornered the entire production of the Monteregio region. Now though it is an established DOC and in the glass this is a wine which gives back way more than you pay. Docet IGT. 50% Cabernet Sauvignon 50% Cabernet Franc. Our Bordelaise style wine has great structure and finesse winning medal after medal at the IWC and Decanter World Wine Awards. The latest is the GUIDA ORO VERONELLI which awarded us Tre Stelle and +93/100. 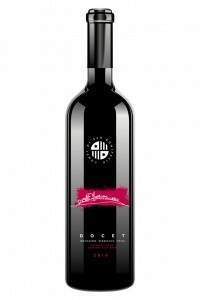 This puts Docet into the top 500 wines in Italy out of 17,000 entrants. This Super Tuscan is a megawatt example of what can be achieved in a small but well disciplined vineyard in the Maremma. Multi gold medal winner and 94+ pointer it is seamless from beginning to end. 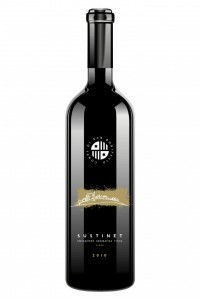 Voted second best Syrah and third best Organic wine in the World by Decanter, this is a world class wine. Get it while you can. 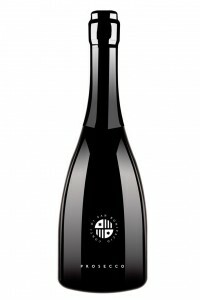 Prosecco DOC Treviso Extra Dry. Our Conti di San Bonifacio Prosecco has been produced in Valdobbiadene in the province of Treviso. The parcel of land planted with Prosecco Glera grapes belonging to the family. The facilities of a Cantina close by were used to ferment our own grapes and bottle our own Prosecco. This is our first vintage. Our aim was to produce a benchmark Prosecco of high quality as we have done with our family of Red Wines. So we have worked in the vineyard to reduce quantity, select grapes on a deeper level and take the wine to a higher standard.